Gamal Doyle is the unmistakeably energetic soca artiste from St. Vincent & the Grenadines, better known as Skinny Fabulous. This talented and versatile artist demonstrates his quick wit and the capacity to mesmerise the crowd while he is on stage. Always willing to push the boundaries of Caribbean music, Skinny Fabulous has a style that falls somewhere between soca and dancehall. 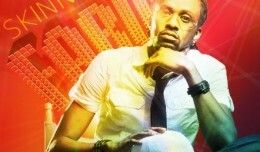 In 2008 he made a major impact in the soca arena. The release of “Head Bad” for Vincy Mas that year, led to him winning the St. Vincent Soca Monarch title but this was just the beginning. 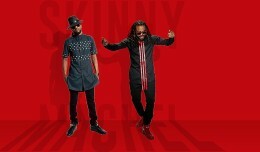 Since winning the title, Skinny Fabulous has gone on to collaborate with some of the region’s top soca acts including Jamesy P, Kevin Lyttle, Bunji Garlin, Fay-Ann Lyons, Peter Ram, Fireman Hooper, Kimberly Inniss and many more. He has toured the region, Venezuela, Columbia, USA, Canada, Germany and England; exciting crowds wherever he goes. Skinny Fabulous’ success continued in 2009 when he was awarded St. Vincent & the Grenadines’ Entertainer of the Year, was the first runner up in the OECS Soca Monarch competition and adjudged Best New Male Artist at the Soca Music Awards. 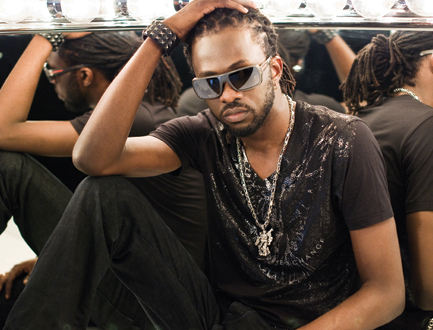 He was invited to take part in the 2009 International Soca Monarch competition in Trinidad where he placed fifth. However, he received the award for the Best Presentation at that competition. To top it all off, he successfully defended his Vincy soca monarch title with the release of ‘De Beast Leh Go’ and he again secured a spot to compete in the 2010 International Soca Monarch competition. 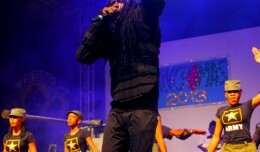 In preparation for that competition, he released three tunes for Carnival in Trinidad; ‘Summer Body’, ‘Badder Than Everybody’ and a collaboration with Machel Montano called ‘Fetting On’. 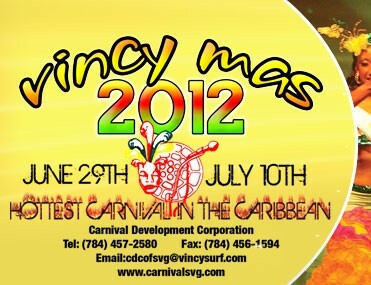 In response to a press release issued by the CDC on Wednesday, Vincy soca artist Skinny Fabulous released a statement saying it's "not aout the prize money", and also dismissing reports of a feud between he and Fireman Hooper.